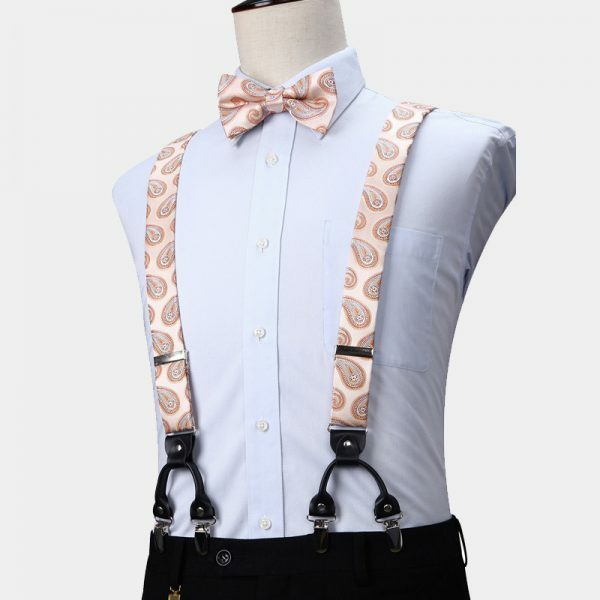 This gentleman’s peach paisley bow tie and suspenders set lets you stand out from the rest while looking you best. 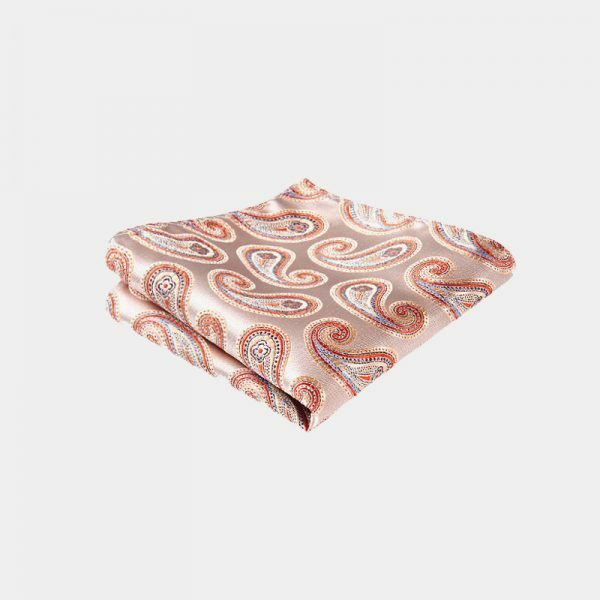 The subtle peach color and classic paisley pattern create an alluring combination. 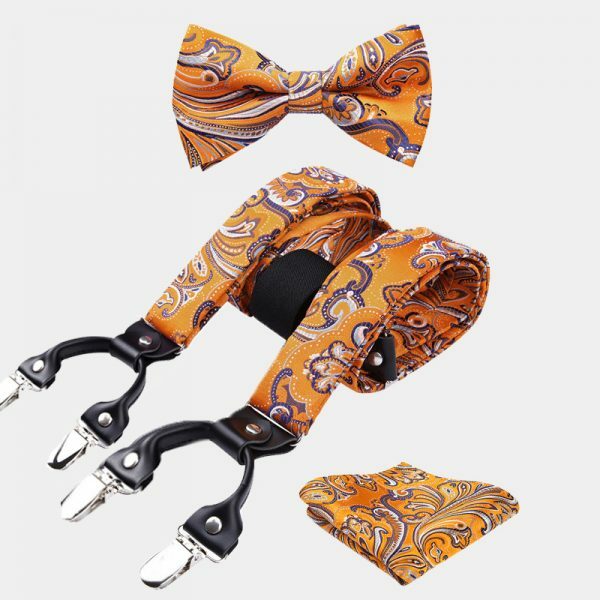 Pairing this exceptional accessory set with your casual or business wear is a smart and stylish option for modern gentlemen. 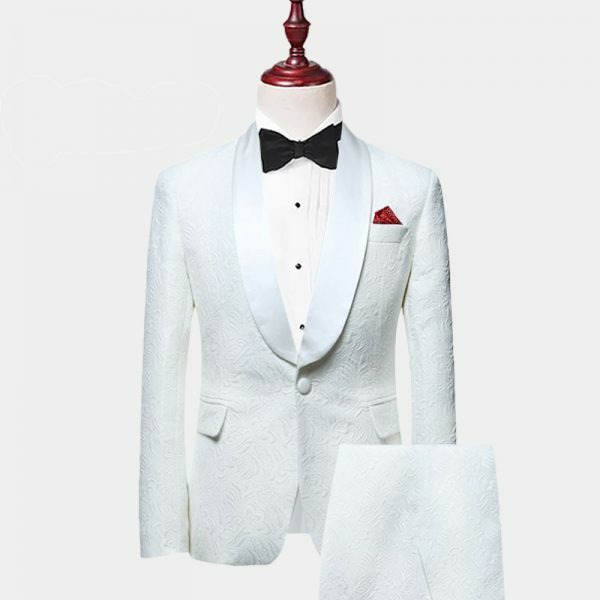 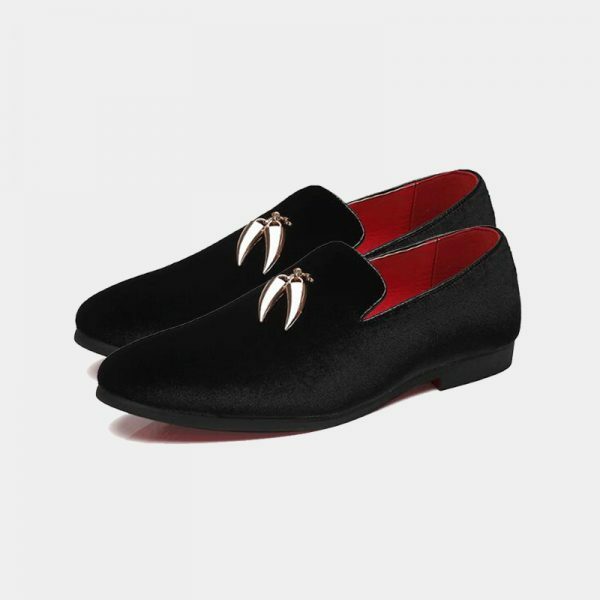 In addition, it looks smashing with light gray, cream or white formal wear. 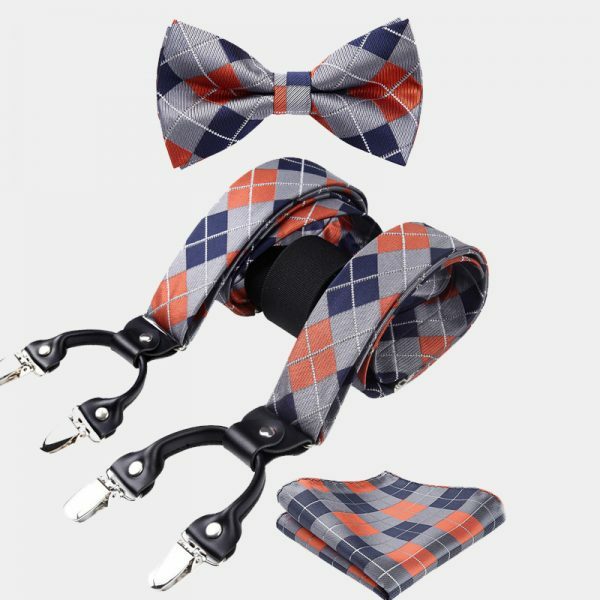 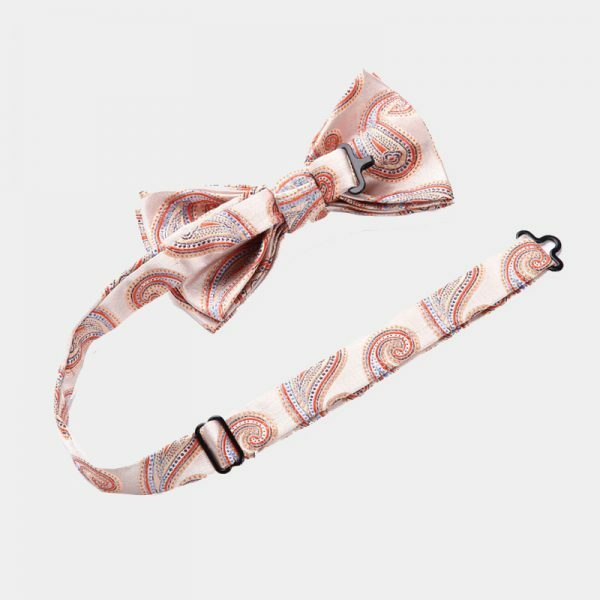 Why not try changing up your accessory game by including this dapper peach paisley bow tie and suspenders set to your lineup? All of the items in this set use high-quality materials that are soft and strong as well as fade resistant. The fully adjustable suspenders have six durable metal clips with non-slip grips. 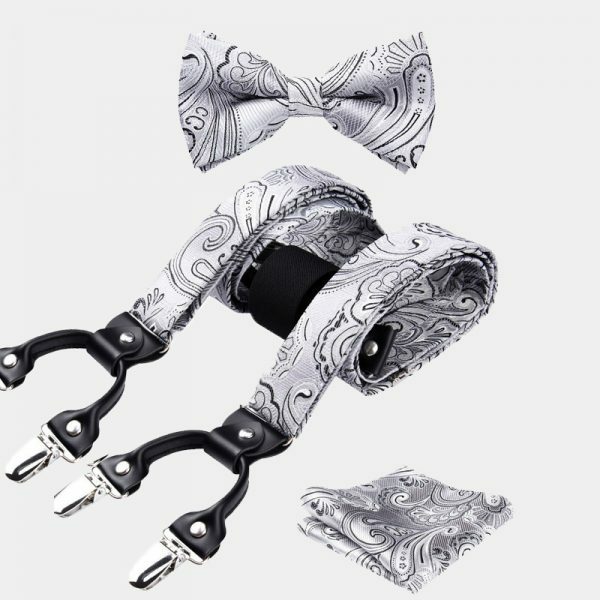 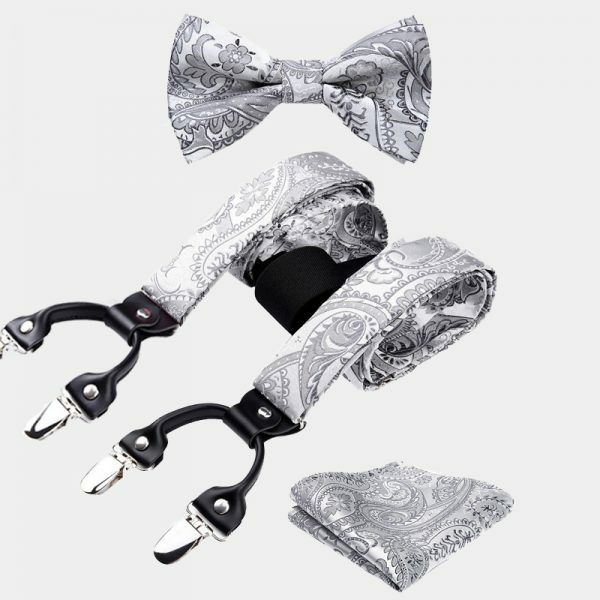 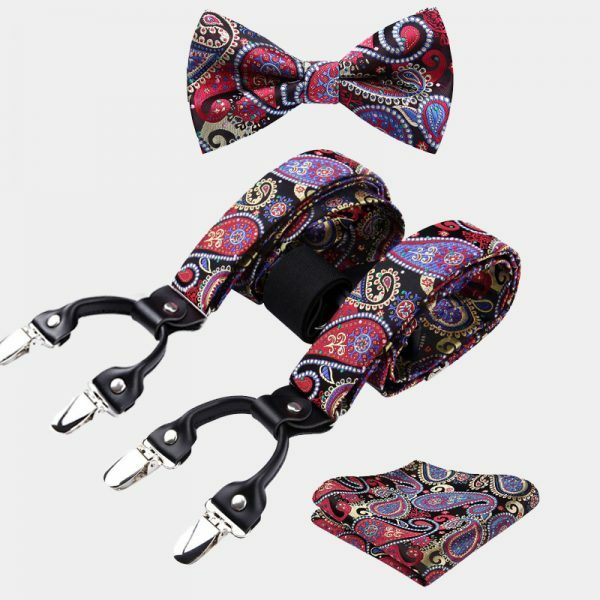 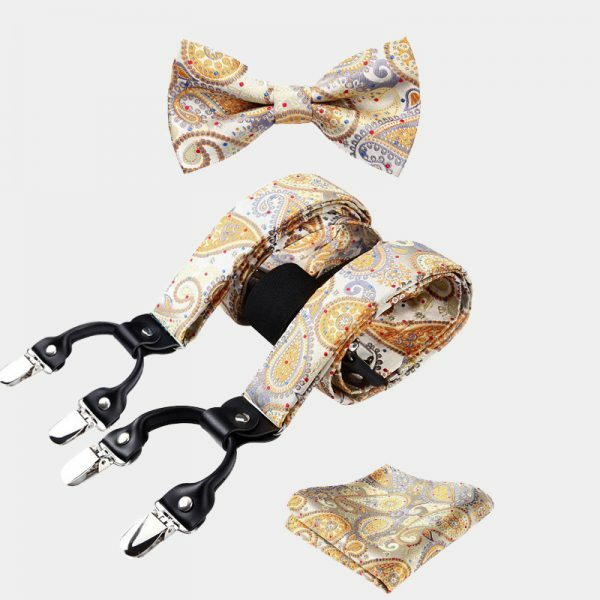 The no-fuss pre-tied bow tie is also fully adjustable making it a breeze to put on and take off. 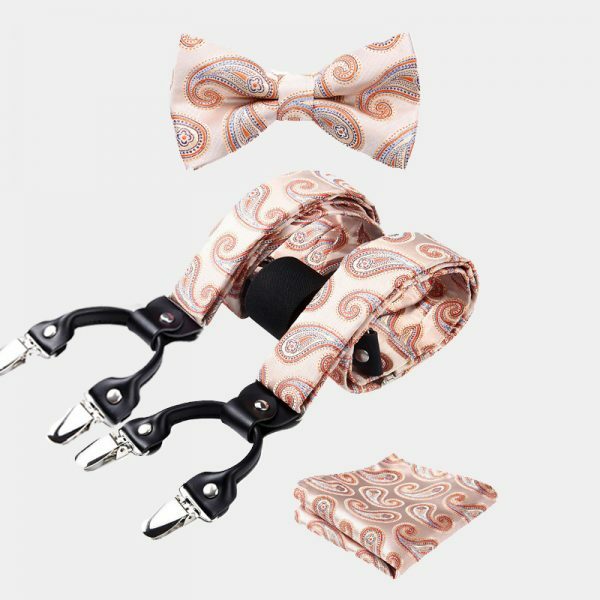 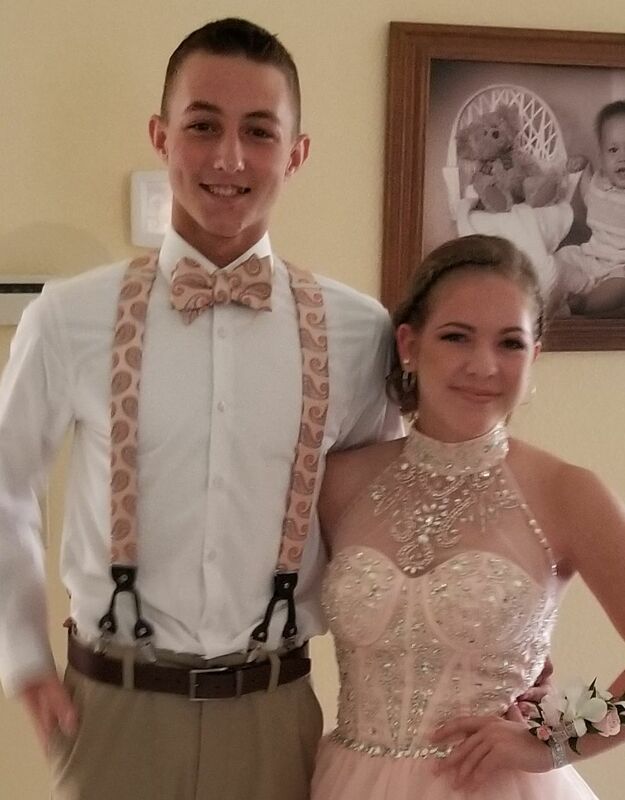 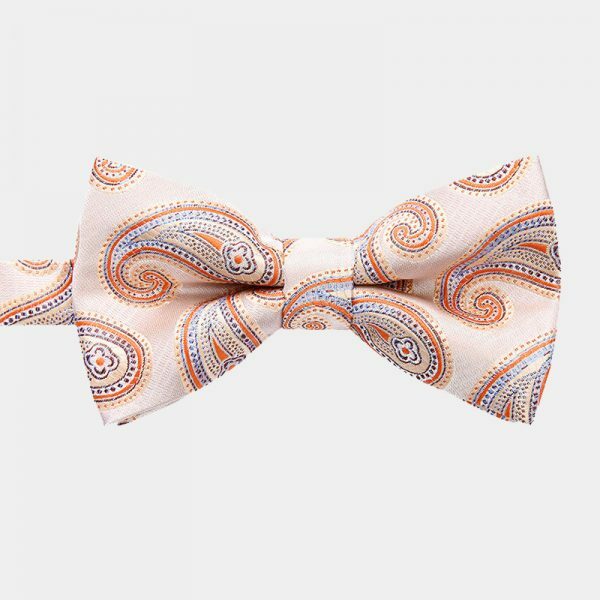 In addition, this gorgeous peach paisley bow tie and suspenders set also comes with a matching pocket square to complete your look.